Is that an alien probe spying on us or just some random space rock? 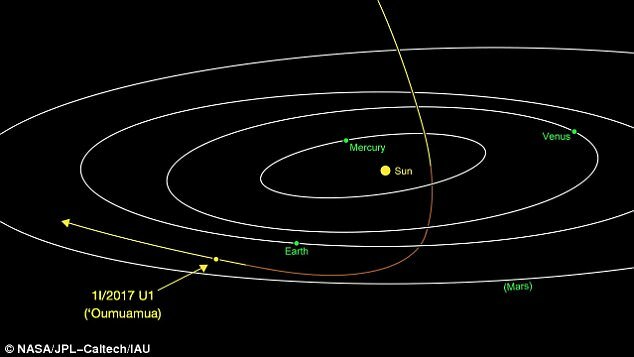 That bizarre cigar-shaped asteroid named Oumuamua (Comet C/2017 U1) that flew through our solar system in November is so strange that many people think it may even be an alien spaceship if not an artifact from an alien civilization. So, astronomers are preparing to scan it before it’s beyond our reach. Russian billionaire Yuri Milner is leading a team of scientists to check it for radio signals and transmissions of any kind to see if there’s anything of intelligence on board. This is a unique opportunity that we mustn’t let slip through our fingers because this is the only interstellar object floating through our solar system that we have ever seen. That in itself is intriguing and has a higher probability of containing some evidence of other intelligent life. Of course, we can speculate all day but taking action to analyze it is a quite reasonable thing to do and a no-brainer. It can be seen both disappointing and inspiring, however, that it takes a private billionaire to check this for us rather than a governmental space agency like NASA. Are they trying to hide something? Let’s find out. Despite its irregular elongated shape, the comet’s pinkish color and brightness is similar to other objects native to our solar system. Time is ticking and the Oumuamua comet isn’t waiting around to pose for selfies as it’s flying past us at 1,620 miles per hour. 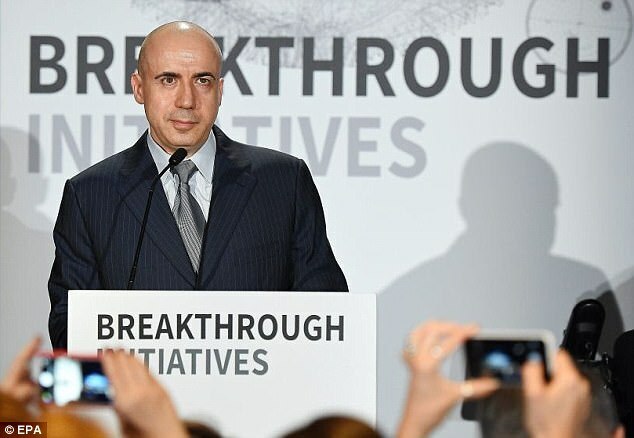 Yuri Milner’s company called Breakthrough Listen is a $100-million alien-hunting business that will use the Green Bank Telescope in West Virginia to scan the Oumuamua comet this week. Even though it’s getting further away, the Green Bank Telescope can still capture the slightest signal from it, for the time being. ‘The more I study this object, the more unusual it appears, making me wonder whether it might be an artificially made probe which was sent by an alien civilization,’ Professor Avi Loeb, the chair of Harvard’s astronomy department and one of Milner’s advisers on Breakthrough Listen, wrote in the email. ‘Researchers working on long-distance space transportation have previously suggested that a cigar or needle shape is the most likely architecture for an interstellar spacecraft since this would minimise friction and damage from interstellar gas and dust,’ the research firm said in a statement. This comet is unlike most comets because it’s not orbiting our sun and is flying around at an angle instead of an ellipse. Based on its trajectory path, it appears to be coming from the Lyra constellation, will curve around our sun, and then shoot off never to return. However, some astronomers believe this comet is native to our solar system but its orbit changed when another planet got too close to it. NASA has suggested before that the Oumuamua comet has just been floating around the Milky Way haphazardly for hundreds of millions of years until is accidentally entered our solar system… Thank goodness for billionaire Milner and those like him who are willing to put their own money on the line to take an honest look at what’s happening out there in space.